Seeing as the Western is going through a small but notable revival, it’s only logical that some total swill should come along, lest anyone get to thinking that the genre only ever produced interesting movies. And so, in rides Lawrence Roeck’s inane Diablo, boasting photogenic Canadian locations and a script that could pass for Donald Kaufman-esque parody. 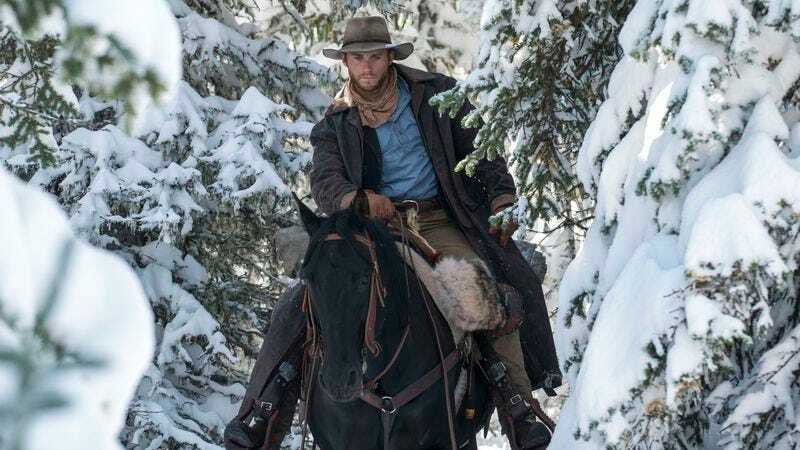 Casting Scott Eastwood—this generation’s answer to Chris Mitchum—as a Civil War veteran haunted by past misdeeds, Roeck aims for an homage to Eastwood Sr.’s revisionist Westerns (think The Outlaw Josey Wales, Unforgiven, etc. ), but the result is pretentious and pointless. 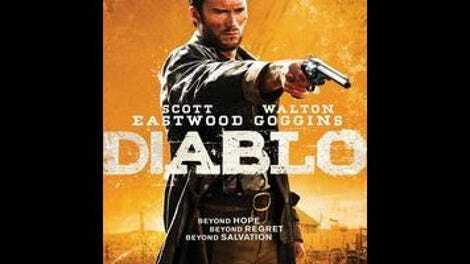 Directed to resemble rather than act, Eastwood comes across as stiff and unemotive, though Diablo doesn’t even have the sense to let its star get upstaged by the overqualified supporting cast, presumably because they would distract the audience from thinking about how he looks kind of like his father from certain angles. Eastwood stars as Jackson, a soldier-turned-farmer introduced stumbling out of a burning house as faceless Mexican bandits make off with his bride in a nighttime raid. Grabbing his gun, Jackson sets off in “pursuit,” which Diablo defines as a series of aerial landscape shots with the occasional meaningless character-actor encounters thrown in for flavor. Seemingly writing for the audience of a creative writing evening class, screenwriter Carlos De Los Rios—a veteran of such Z-grade mockbusters as The Da Vinci Treasure and Pirates Of Treasure Island—loads up on hamfisted symbolic figures, including the requisite tormenting devil (Walton Goggins) and mystical Indian (Adam Beach). This is all teasing the eventual reveal of half-assed psychological motivations and a plot twist that wouldn’t be half-bad if it came in the first act, but which Diablo treats as a profound insight that needs to be saved until the end. Tedious despite its brief running time, this largely inert chase film is only mildly redeemed by some above-average camerawork by Dean Cundey. Too professional for the awfulness of its “But who is the real devil?” plotting to be any fun as camp, and too ponderous to be watchable as a purely bad movie, Diablo doesn’t offer much beyond a reminder of other, better films and some choice Alberta scenery framed by a cinematographer who shot John Carpenter and Robert Zemeckis’ best work, but is now doing this. With its lookalike star and its feeble gestures toward gravitas, it should be perfect for the viewer who enjoys recalling Clint Eastwood movies and wondering why Danny Glover doesn’t get better roles, and for some reason wants to pay money for 90 distraction-free minutes to do so.